And it was SOOOOOOO GOOD! 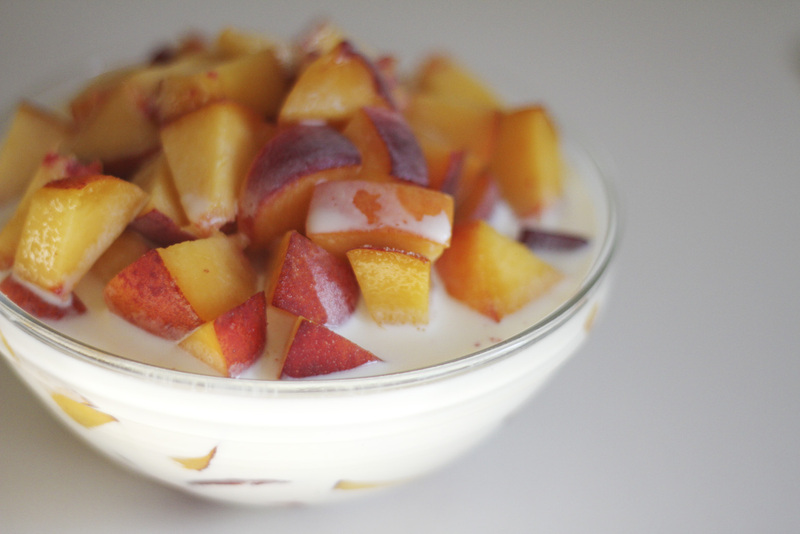 I cut up 2 ripe and juicy peaches into a cereal bowl, sprinkled about 2 teaspoons of granulated sugar over them and then poured about 3/4-1 cup of half & half over the top! With my breakfast/dessert;) in hand, I went upstairs where my little Acer was sitting on the bed watching cartoons, and sat down next to him so we could eat it together! Because something as incredibly delicious as Peaches & Cream should be shared with someone you love tonsens and tonsens! Yum this looks good and your little boys comment is priceless! So Cute!